From Halloween through Christmas, it seems that many doors have a wreath of some sort decorating the entry. 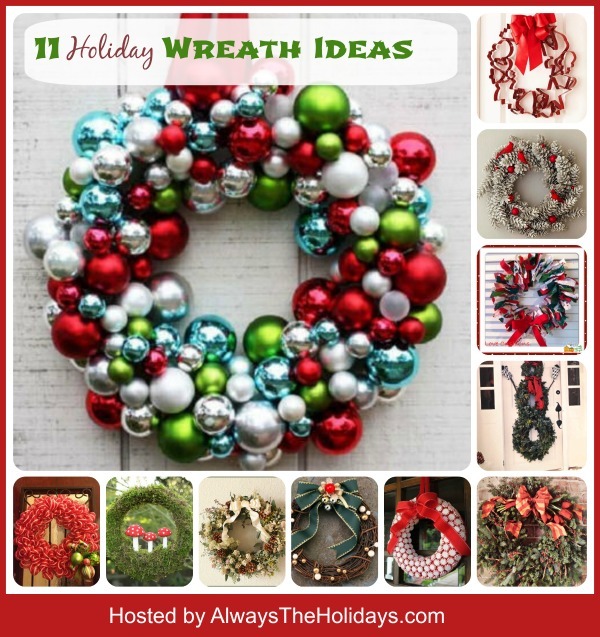 These Christmas wreath ideas are the perfect way to welcome guests to your home. 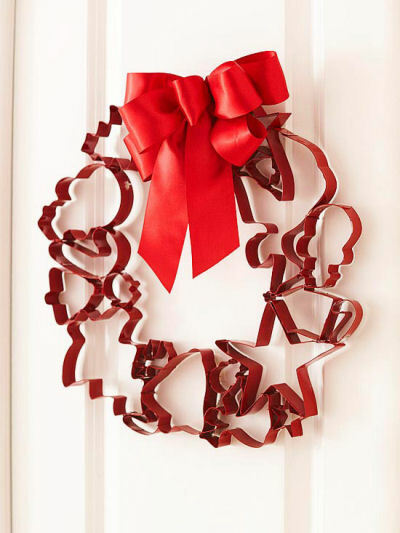 Decorate your Door with A Festive Christmas Wreath. 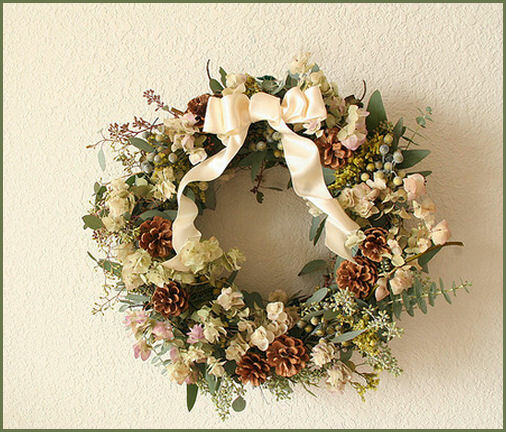 Some of these wreaths are simple, and some are very ornate. Some are store bought for lots of money and others are easy DIY projects. This lovely Christmas wreath uses pine cones and subtle colored flowers as well as eucalyptus leaves for a great effect. The long cream colored wire wrapped ribbon adds just the right touch and matches the creamy colored flowers well. Image shared from the creative commons part of Flickr. 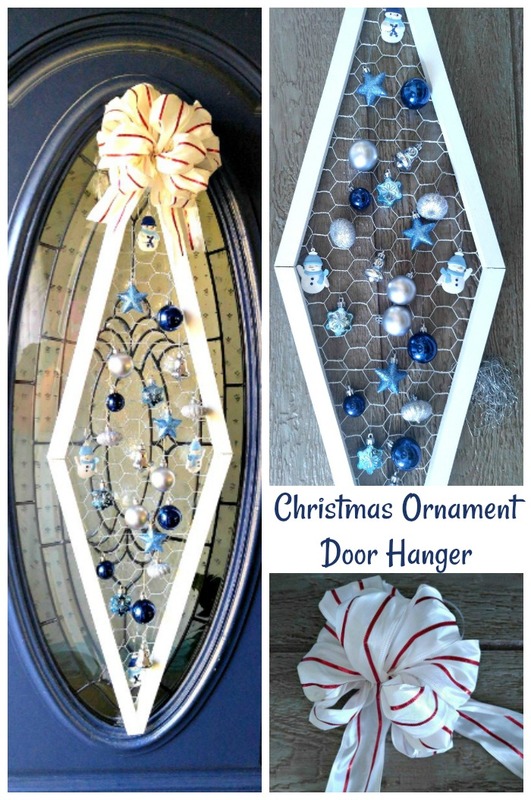 These are a few more of my favorite door wreaths. 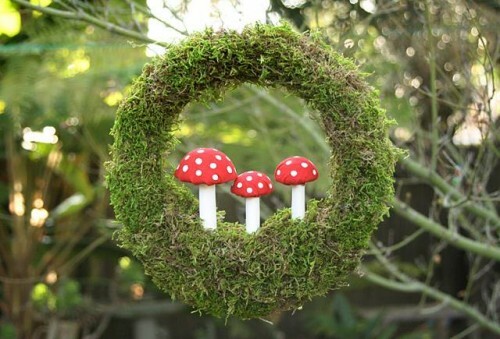 How cute is this Moss Toadstool wreath? The project is made from sphagnum moss on a wreath form and fabric glue onto Styrofoam for the mushrooms. See the directions for the project at Please note. I am not normally a fan of grape vine wreaths, but I do love the simplicity of this one. The grape vine is studded with some small gold and white ornament tips a decorated with a large Kelly green and gold wire wrapped ribbon bow. 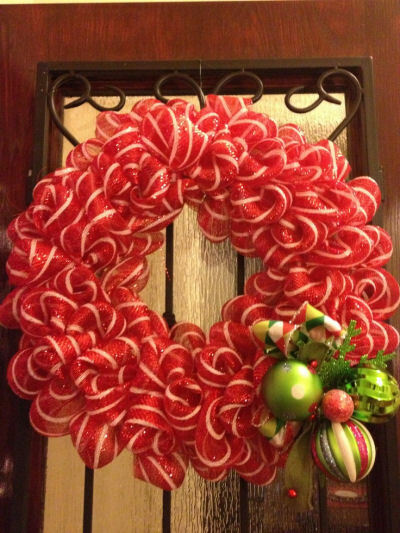 Grab a few bags of peppermint candy, a form wreath and some decorative ribbon and you will have a great holiday wreath that is good enough to eat! See the tutorial at Gwynn Wasson Designs. Do you have a glass panel on your front door that is oval? This makes a wreath a hard thing to make look right. I used reclaimed wood to make this unique Christmas ornament door hanger instead. It fits the oval glass panel perfectly. Add a fresh twist on an old tradition by using tulips instead of poinsettias for the focal point of this wreath. The color is perfect for the holidays and compliment the berries nicely. Add a wire rimmed striped ribbon for the finishing touch. Idea shared from an old issue of Better Homes and Gardens magazine. How cute is this guy? He is made of three graduated sized wreaths attached together to make a snowman body. 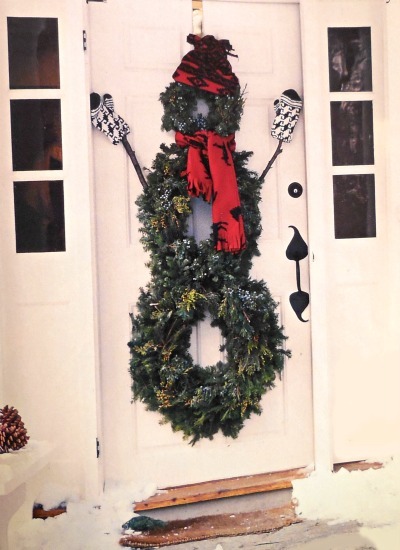 Attach some branches and festive mittens for his arms, and a red scarf and hat for a festive look that will have the neighbor’s applauding your efforts. Idea shared from an old Good Housekeeping magazine. Imagine the time involved in this one. 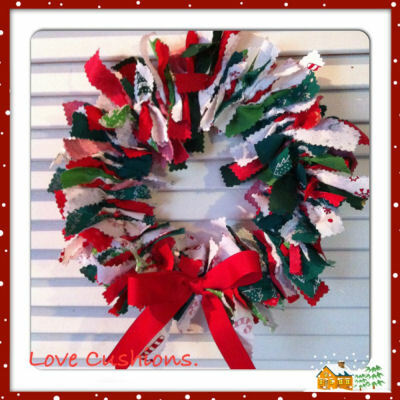 The project is made by using a foam wreath base and then gluing 100 (yes 100!) vibrantly colored ornaments in place on it. Becky from Matt and Becky says there is no right or wrong way. Just start gluing and you will get it done in time! 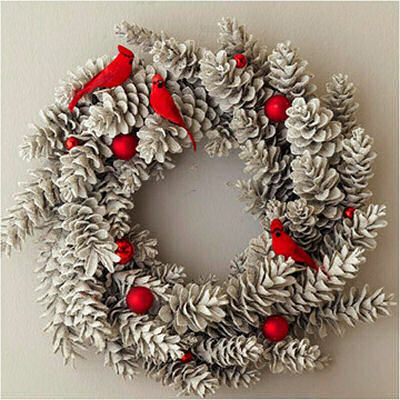 This plain pine cone wreath got transformed for the holidays with faux snow and silver glitter and then the addition of some red cardinals and small red ornaments. See the directions at Xenia Nova. What a beauty this is! 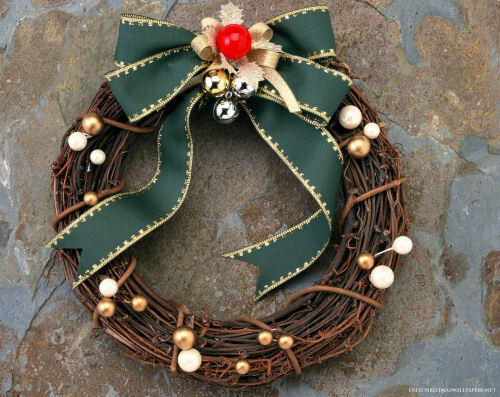 The wreath is made from yards and yards of wire rimmed ribbon bows attached to a wreath ring. 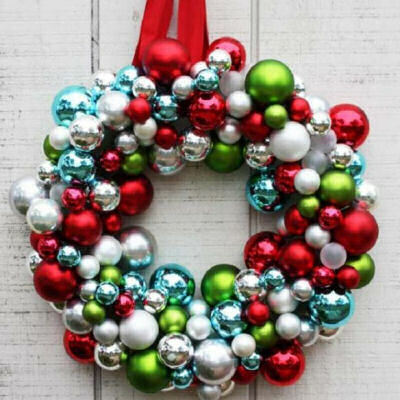 Ad a big holiday pick to the bottom corner and you have a unique one of a kind wreath. Source: Pinterest. What a great wreath this is to show your visitors that you love to cook! 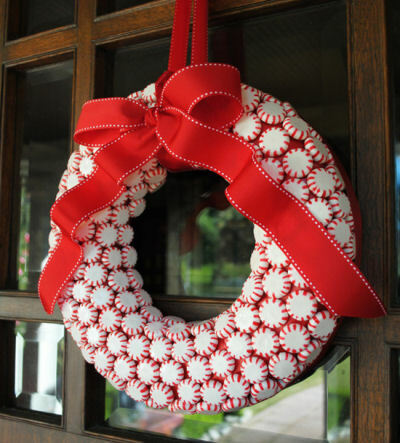 The wreath is made with large and small cookie cutters glued together in a circular shape and then spray painted red. 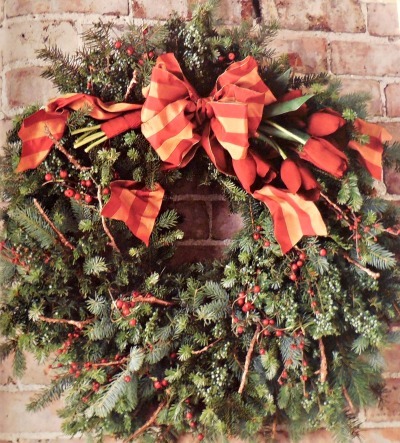 Add a big bow to the top and you can greet your guests with a tempting wreath that hints of things to come inside. Idea shared from BHG. If you have some Christmas fabric, some heavy gauge wire, pinking shears and a bow, you can make this festive Christmas wreath. Just trim the fabric scraps with pinking shears into equal size pieces, thread them on a piece of heavy gauge wire, join at the top and add a bow. Image shared from Elisha Tye on Pinterest.